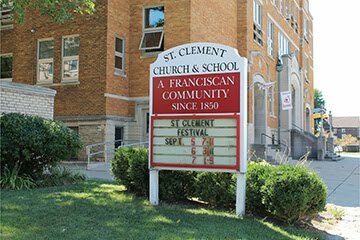 St. Clement School is committed to the quality education of children in partnership with their parents. We strive to educate the whole person by promoting the spiritual, moral, physical, and intellectual development of each student in a value-centered environment. "JESUS CHRIST IS THE REASON FOR OUR SCHOOL!" A Quality Catholic education in the Franciscan tradition since 1850.